PIXIES and Empire Of The Sun may have closed-up shop, but it was UK folk act Mumford & Sons who stole the show at the biggest ever Splendour In The Grass. Drawing the largest crowd of the festival, Mumford & Sons joked with their cheering audience beforing announcing Splendour in the Grass was "without a doubt the best festival line-up anywhere in the world this year". Marcus Mumford then dedicated hit single Little Lion Man to the festival. While many of the older revellers stayed at the main stage for American rock legends Pixies, who played a solid set with hits Debaser, Monkey Gone to Heaven and Wave of Mutilation, it was Empire of the Sun who attracted the younger crowd. 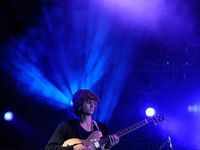 Perhaps the biggest disappointment of the festival, UK singer-songwriter Richard Ashcroft left fans stunned when he threw a tambourine at a drum kit and stormed off stage one song into his show. He didn't return. 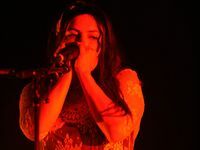 Other bands pulling in big crowds on Sunday included Passion Pit, The Vines and Ash. Jonsi left a smaller crowd in awe. Saturday night saw hundreds of fans locked out for headline act The Strokes, who put on one of the best sets of the festival, due to overcrowding at the charismatic Amphitheatre stage. The rockers had a tough act to follow and that was the angelic Florence & The Machine, who didn't disappoint. 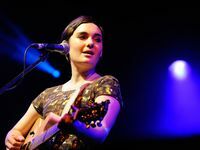 Ben Harper gave glam rockers Scissor Sisters, who shared the a timeslot, a run for their money on Friday night when he invited INXS drummer Jon Farriss to perform with him on stage. Mumford & Sons joining The Temper Trap on stage to perform Down River was another Friday highlight, as was LCD Sound System stripping down to bare minimals to warm up the crowd for Scissor Sisters. 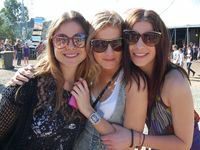 About 32,000 festival-goers flocked to Splendour In The Grass for three full days of live music. 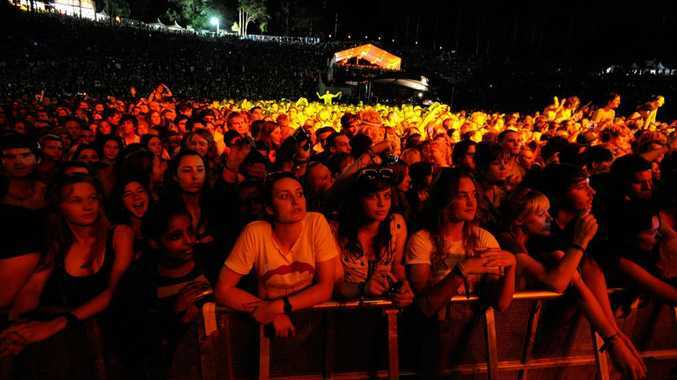 The number of both injuries and offences were lower compared to last year's festival at Byron Bay, according to on site medical services and Queensland police respectively. 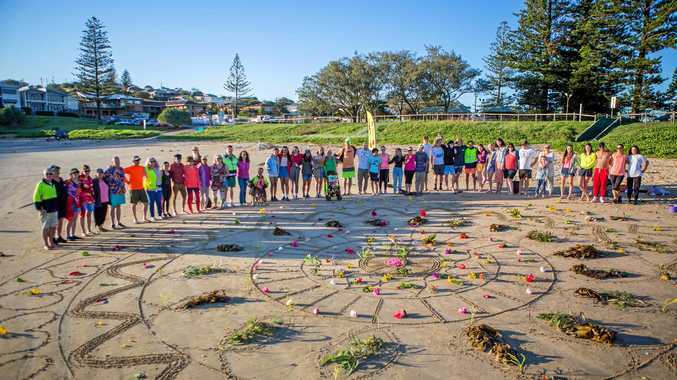 But, despite this and the overall success of the new site, Splendour In The Grass organisers say their long-term plans are to move the event back to Byron Bay at a new 267 hectare site. 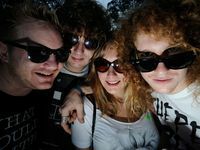 “We’re thrilled with our first Splendour at Woodfordia," organisers Jessica Ducrou and Paul Piticco said. "We’ve had a really great time this year and despite some teething problems and heavy traffic that was expected, we’re pleased to say that feedback on the event has been fantastic. "We were blessed with great sunshine filled weather, a great vibe and spectacular performances making it one cracking weekend!